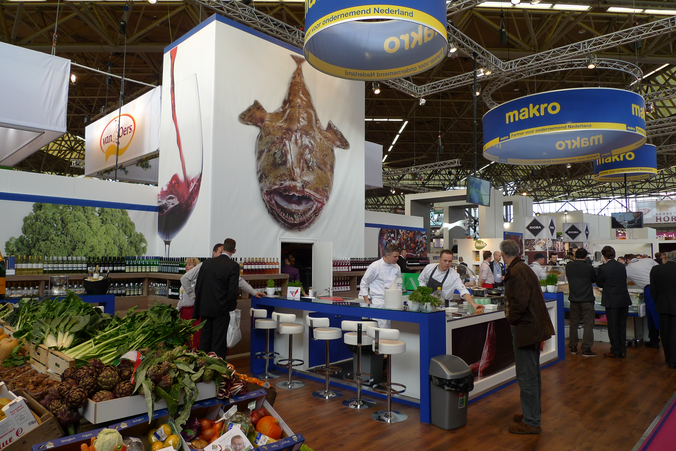 Product and Tradeshow presentations - De website van guusvcc! Using high-quality presentations centred around your product, the team behind Food Things creates the ultimate tradeshow experience for both visitors and the client. Culinary creations are combined with knowledge shared by a professional chef. Food Things can take all culinary cares off your mind. We are hospitable, flexible and unique in our dishes and presentations. We set up our presentations entirely independently to allow you to focus on your clients. In other words, we make the culinary difference on the show floor, thereby creating your own Culinary Unique Selling Point. Away from the excitement on the floor, Food Things hosts an informal gathering. Your product is the star of several courses during a gastronomic evening. Introduce your guests to your product in an exceptional manner or have them take part in the culinary process themselves in order to convince them with innovative taste discoveries in a relaxed private atmosphere. It is important to Food Things that you can devote all of your attention to your visitors. We are therefore more than happy to take care of the culinary design and execution. Supervising the construction of the stand's kitchen.